The Mokka X successor is due in 2020. Shown is an artists impression. Opel said it will add three models and end sales of three others as the company focuses on high-growth SUV segments and high-volume models such as the next Corsa hatchback. The Adam and Karl minicars, and the Cascada convertible, will not be replaced when production ends in 2019, Opel said in a statement. Dropping the models will reduce complexity, improve efficiency and help the automaker meet tougher CO2 emissions limits, Opel said. The Karl, which is called the Viva in the UK, is imported from a General Motors plant in Changwon, South Korea. The Adam is built in Eisenach, Germany, and the Cascada is produced in Gliwice, Poland. Opel said it has three key launches by 2020: the new Corsa subcompact, the Mokka X SUV successor and a new Vivaro van. The Corsa will go on sale next year with conventional engines. A full-electric version will go on sale a year later, although customers will be able to order it by next summer. A replacement for the Vivaro van is due next year. The Mokka X successor is due in 2020. It will be sold alongside the Crossland X small SUV. The Mokka X expected to be repositioned to create more distance between the two models. Opel has said it wants SUVs to account for 40 percent of sales by 2021, up from 25 percent now. Along with the Astra compact car and Insignia midsize model, the Mokka X is one of the few cars left in Opel's range based on a GM platform rather than PSA architecture. PSA is moving all Opel models to its platforms after it bought Opel and its British sister brand Vauxhall from GM last year in a $2.6 billion deal. Under PSA, cost-cutting at Opel, which had lost a billion dollars a year under GM ownership, helped the division record a 502 million euros ($587 million) profit in the first half for a 5 percent operating margin. Opel said it will start production of a plug-in hybrid version of the Grandland X SUV next year. Opel has said it will sell electrified versions of each of its models by 2024. The Grandland is expected to be facelifted next year and a seven-seat model added. 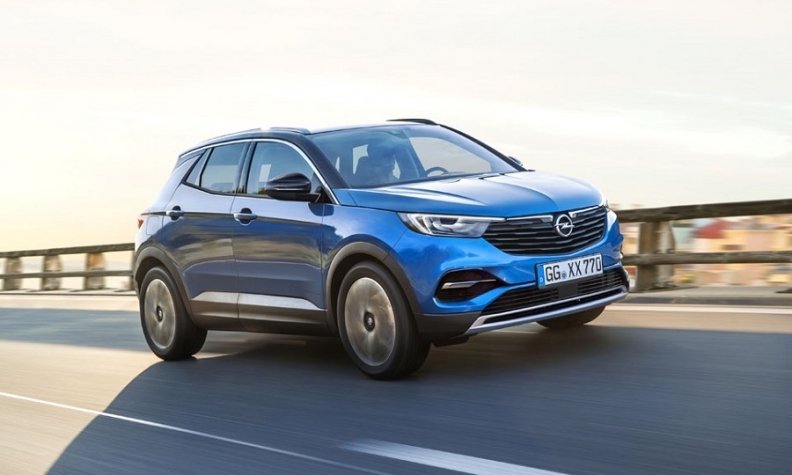 Opel did not disclose information about a previously announced plan to introduce a midsize SUV to slot in above the Grandland X to be built in Opel’s plant in Russelsheim, Germany. No such model will be introduced in the next two years, a spokesman said. Opel sold 32,825 units of the Karl/Viva in Europe through August, according to JATO Dynamics market researchers. Adam sales were 25,490 and 1,569 Cascadas were sold. The Corsa, with 142,531 sales, was Opel's best-selling model in the first eight months.